Jupiter the planet that brings good fortune and abundance, changes its sign approximately every 12 months. The aspects formed by transiting Jupiter to the placement of the Sun sign in a person's birth chart, allows us to identify new opportunities for attracting abundance and success. 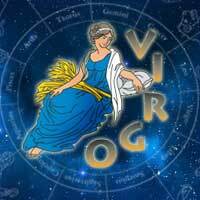 February 6th, 8:42 a.m., New York (2:42 p.m., GMT): Jupiter turns Retrograde at 23:08' Libra. June 9th, 5:10 p.m., New York (10:10 p.m., GMT): Jupiter goes Direct at 13:13' Libra. Jupiter goes retrograde, just when forming a conjunction with Behenian fixed star Spica at 23:08' Libra. Spica, also known as â€œThe Fortunate Oneâ€�, is a super lucky star for success, abundance and fame. This conjunction makes Jupiter's retrograde motion a very lucky cosmic event. This means that the period of Jupiter's retrograde (until June 9th when Jupiter goes direct again) is a perfect time for preparing legal contracts such as buying or selling a piece of property as well as planning new artistic projects. This is also a very good time for studying and preparing exams, especially for law students as well as art students. Traditionally Emerald is the birthstone for those born under the influence of Spica and Sage is the medicinal plant associated with this star. Whenever a transiting planet (like in this case Jupiter) conjuncts Spica, we have the opportunity to prepare a medicine pouch with an Emerald and dried Sage which will serve as a talisman for abundance and good fortune. Just when the Sun is on the eastern horizon in the early hours of the morning, place some Sage with an Emerald in a glass bowl. Light a candle and place it next to the bowl so that its light shines on the sage and emerald. After the candle has burned down, place the Sage and Emerald in a small sachet; the sachet can either be sewn from a fabric or crocheted. Jupiter goes direct again just as it forms a conjunction with Behenian fixed star Algorab at 13:13' Libra. Algorab is a malefic star that is linked to suicide, crime and misfortunes. Burdock is the medicinal plant associated with this star and Black Onyx is the birthstone that helps to transmute Algorab's negative influences into positive energies. You can create a medicine pouch with Burdock and Black Onyx as an astrological talisman for protection against the negative vibes of Algorab. The process for preparing an "Algorab" medicine pouch is the same as the process described above for preparing a "Spica" medicine pouch. From January 1st until October 10th, Jupiter will move through the third decan of Libra. Since Jupiter rules the third decan of Libra, its placement here is most favorable and marks a period of expansion and good fortune. The name of the game during this transit is COOPERATION. Any new venture will be successful provided there is harmony and cooperation between all the members in the team, the organization, community, family, etc. Generally speaking, these ten months are a favorable time for embarking on a new course of studies, starting a new research project, taking care of legal issues (like for example going to court), signing contracts and last but not least â€“ getting married. Jupiter in third decan Libra is the ultimate diplomat and promoter of peace. Hence, this is a time to forget old hostilities and to make peace. Psychologically, this is the right time for resolving your internal conflicts to find inner peace and harmony. The birthstone for Jupiter's placement in the third decan of Libra at 21:10', on January 1st is: Blue Aragonite, which is the Focus Birthstone of 21%-22% Libra. The New Calendar Year starts with Jupiter at 21:10' Libra. Hence, the 2017 birthstone for Jupiter is the Blue Aragonite, which attracts the energies of Jupetarian abundance throughout this calendar year. 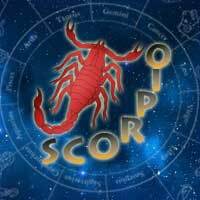 After a period of Librarian lightheartedness, Jupiter's entry into the first decan of Scorpio on October 10th, heralds a new period of intensity and total dedication in all endeavors. Scorpio's first decan is ruled by Mars, the red warrior planet. This transit brings with it a period of a new burst of energy and vigor. Mars' red fire combined with Jupiter's artistic creativity opens the door to a renewed flow of inspiration. Light workers during this transit will be able to reach new heights in their spiritual development. This new period in Jupiter's journey along the ecliptic offers the opportunity to harness the powerful celestial energies for ascending to a higher vibration of spiritual consciousness and psychic power. The birthstone for Jupiter's placement in the first decan of Scorpio is the Green Grossular Garnet. The Green Grossular Garnet is the Focus Birthstone of 1%-2% Scorpio. The first degree in every sign represents the energies of the whole sign. Hence, the birthstone that corresponds to the first degree of a sign can be seen as the central birthstone of that sign. Blue Aragonite for the placement of Jupiter on January 1st, 2017. Green Grossular Garnet for the crossing over of Jupiter from Libra to Scorpio which marks a new phase in Jupiter's transit. Emerald and dried Sage for enhancing the beneficial energies of Spica (during Jupiter's retrograde motion). Black Onyx and dried Burdock for transmuting the malefic influences of Algorab into positive energies. Your personal birthstone for 2017 depending on your Sun sign (you can find the details under your Sun sign further down). You can either place your medicine pouch in your purse, or wear it on a cord around your neck. The New Year begins with an opposition between Uranus in Aries in the house of marriage and Jupiter in Libra in the house of personal individuality. This means that you will need to learn how to balance between your personal individual needs and the necessity to cooperate with your partner. Since Uranus is involved, the changes will be quite ground breaking but once you master the challenge you will enter a new phase in your partnership. Add to your medicine pouch a piece of Hematite, which is the birthstone for the placement of Uranus in Aries on January 1st. Jupiter in Libra in the house of personal individuality will this New Year form a very favorable aspect with the Moon/Venus midpoint in Aquarius. 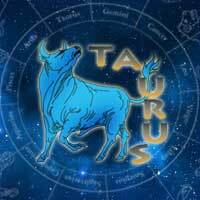 The Moon is exalted in Taurus and Venus is Taurus' ruling planet. The Moon/Venus midpoint is conjunct fixed star Nashira in the house of romance. This heralds a year of new opportunities for adding romance to your relationships or finding a new love in life. Your love life will literally make your face glow with beauty and happiness. All you need to do is embrace the blessings of 2017. The birthstone for the placement of the Moon/Venus midpoint on January 1st is Dumortierite; add this stone to your medicine pouch. Mercury the ruling planet of Gemini is this New Year conjunct fixed star Polis in Capricorn and the house of communication. Furthermore, the Mercury/Jupiter midpoint is in Scorpio and the house of money. This constellation will bring in 2017 much success in your investments and efforts to increase your income. Purpurite is the birthstone for the placement of Mercury on January 1st. Add a piece of Purpurite to your medicine pouch for abundance and financial success. Cancer is ruled by the Moon. This New Year the Moon/Jupiter midpoint is conjunct fixed star Sabik in Sagittarius and the house of communication. The birthstone for this constellation is Sugilite. This is an omen that you will enjoy material abundance and success in 2017. However, make sure you resist the temptation to earn money from illegal actions. Place a piece of Sugilite into your medicine pouch for protection against the malefic influences of fixed star Sabik. The Sun rules Leo and this New Year the Sun/Jupiter midpoint conjuncts fixed star Kornephoros in Sagittarius and the house of money. This means that 2017 will be a good time to use your determination and will power for investing hard work in building your career. Your efforts will help you to get a higher ranking position with a larger salary. Verdite is the birthstone for the placement of the Sun/Jupiter midpoint; place a piece of Verdite into your medicine pouch for success in your career. Chiron, the "wounded healer", rules Virgo and this New Year the Jupiter/Chiron midpoint conjuncts fixed star Kaus Borealis in Capricorn and the house of Communication. If you are a teacher, counselor, scholar or writer, 2017 will bring you an important breakthrough in your career. Your new accomplishments will help to heal past traumas buried deep in your subconscious mind. The birthstone for this Jupiter/Chiron midpoint is Purple Fluorite. Add a piece of Purple Fluorite to your medicine pouch to aid your personal development. With Jupiter in Libra from January 1st until October 10th, the year 2017 will be for all Librans one of the most fortunate and prosperous years. The beneficial energies of Jupiter will help to build your self-respect as well as your reputation. 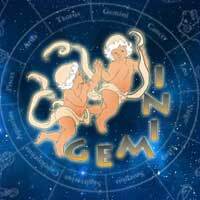 As already stated above, the personal birthstone for Librans in 2017 is Blue Aragonite, which is the birthstone for the placement of Jupiter in Libra in the house of personal individuality on January 1st. 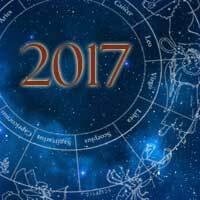 The year 2017 starts with Pluto, Scorpio's ruling planet, conjunct fixed star Albaldah in Capricorn and in the house of family affairs. The hard aspect between Pluto and Jupiter in Libra and the house of personal individuality highlights the conflict between personal needs and family duties. 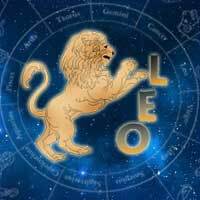 Since the influence of Pluto is drastic and irreversible, the best that you can do to keep the family together during this transit is to hold back until the storm has blown over. With Jupiter's entrance into Scorpio October 10th, a new period of success and abundance will begin for you. Black Calcite is the birthstone for the placement of Pluto on January 1st; place a piece into your medicine pouch for protection against the malefic influences of Pluto and Albaldah. This New Year begins with a favorable aspect between Saturn conjunct Sulaphat in Sagittarius in the house of communication and Jupiter in Libra in the house of personal individuality. This transit will fill you with new inspiration for scientific research, artistic creativity and writing. Since Saturn is involved, you need to invest much effort, but it will be worthwhile because the results will be long lasting. Add to your medicine pouch a piece of Star Garnet, which is the birthstone for the placement of Saturn and Sulaphat on January 1st. Capricorn is ruled by Saturn. 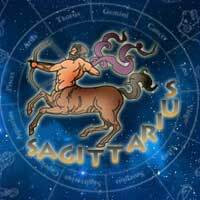 This New Year the Saturn/Jupiter midpoint is in Scorpio and the house of money. This means that with hard work and determination you will enjoy great financial success in 2017. The birthstone for this Saturn/Jupiter midpoint is Kambaba Jasper. Place a piece of Kambaba Jasper into your medicine pouch for attracting abundance and wealth. 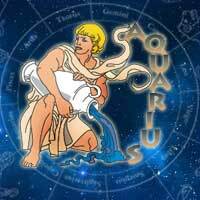 Uranus is the ruling planet of Aquarius. 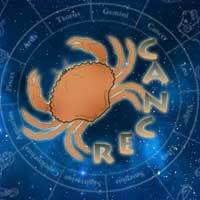 The Jupiter/Uranus midpoint falls this New Year in Cancer and the house of professional leadership. This shows that if you chose to open a home-based business or go into the food industry, you will enjoy ground-breaking successes. The birthstone for this New Year's Jupiter/Uranus midpoint is Vanadinite. Place a Vanadinite crystal cluster on your work desk for enhancing your financial success. 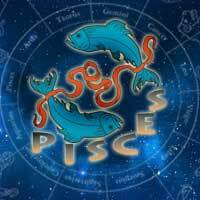 The New Year starts with a hard aspect between Chiron in Pisces in the house of health and Jupiter in Libra in the house of personal individuality. This shows that you will need to deal with your tendency to exaggerate at the expense of your health, be it overeating, oversleeping, overdoing things that cause too much stress, etc. Since this constellation involves Chiron, the "Wounded Healer" in Pisces the sign of addictions, you must try not to get caught up in a self-destructive vicious circle. This New Year's birthstone for Chiron is Dendritic Agate; Place a tumbled piece of this stone into your medicine pouch. Good 2017 scope! Happy New Year! 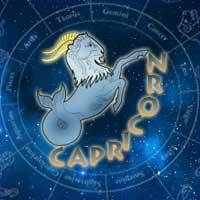 Free 2017 horoscope for the 2017 year of the Rooster, annual 2017 horoscopes for your western zodiac sign. Birthstones for your Zodiac sign, Birthday Mandalas and Talismans. 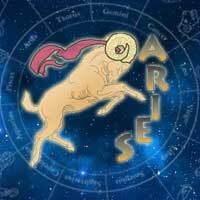 Personal grooming, the development of ideas, preventive-medicine routines, and family sharing get strong support in your horoscope today. Hard work is very rewarding today; you get a great deal of satisfaction from doing a straightforward task. This turns out to be a splendid day for getting tasks done -- and done well. Household and local chores are well aspected in the afternoon, and the evening hours are tranquil. Take time to study the intrinsic value and it'll last forever. The aspects should allow for open and responsive communications in all your affairs, both business and personal, today. Mistakes can creep into money transactions. Happiness is helped by what you do for a deserving stranger. You manage to produce amazing results at work today. Your career prestige and reputation can get a big Jupiter-Uranus boost under today's aspects.